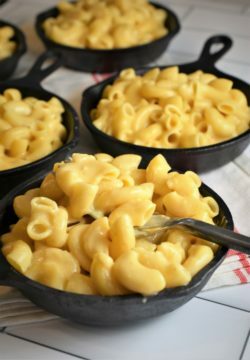 Stove-top Vegan Macaroni & Cheese | Recipe For A Party | Life is a Party, So Celebrate! What do you crave on a cold and rainy day? 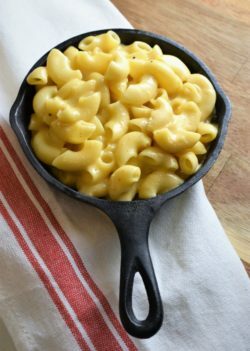 I crave “stick to your ribs” foods, like stews, casseroles and yes…the ultimate comfort food Macaroni & Cheese. Its rainy today and I haven’t blogged a recipe in a while and I thought today would be a perfect day to do so. There is nothing more comforting than a hot, cheesy and gooey bowl of macaroni & cheese. My partner is vegan so I thought I would comfort the both of us today and whip up a batch of vegan macaroni & cheese. It turned out so yummy, creamy and “cheesy” without the dairy. 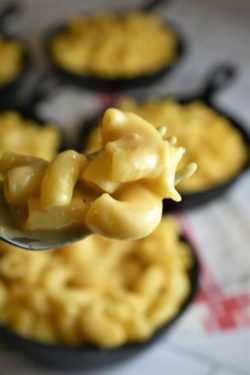 I’ve made some vegan mac & cheese recipes that call for carrots or sweet potatoes and they were just ok but I like the vegan cheeses out on the market today and some are very good. 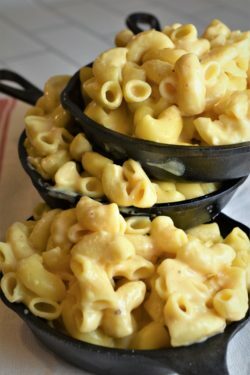 My recipe is a simple stove-top version that retains the tenderness of the macaroni and the creaminess of the sauce. The oven baked macaroni & cheese recipes, I feel can be dry. Use your favorite “cheddar style” vegan cheese in this recipe and plant based milk of your choice; I used a mozzarella and cheddar blend. 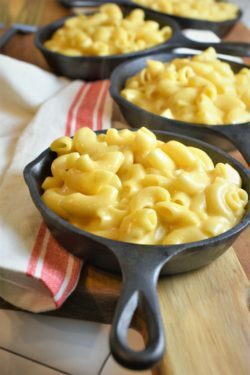 Make sure to use tapioca flour instead of regular flour, I feel this gives the sauce that stretchy and gooey texture that is all so familiar of mac & cheese recipes. One last note, I used a ½ teaspoon of cayenne because I wanted my recipe to have a bit of a kick, so by all means make it as mild or spicy as you like. Chase those rainy day blues and put a smile on your face with my creamy recipe, Yes please! 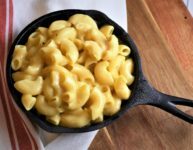 When you are craving creamy mac & cheese on a cold and rainy day, this is my new "go to" recipe!